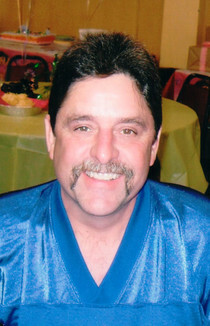 James B. Gunther, 59, of Belford, peacefully passed away Monday, January 14th. Jim was a loving son, brother, father and friend. He had a great sense of humor and enjoyed spending time with his family and friends. Jim was born on August 23, 1959 and grew up in Middletown, NJ, the youngest of four siblings, Rudy, Linda and Barbara. He was a sheet metal worker with Local 19, Philadelphia, Pa. for more than 15 years. He enjoyed the outdoors; hiking, camping, fishing and hunting with his father as a young boy. His greatest joy in life was the time spent with his sons, Colton and Tyler. Whether it was a trip to Virginia’s water park or the museum in earlier years or a quick bite to eat at Five Guys more recently, he greatly enjoyed the time spent with his boys. Jim was diagnosed with Amyotrophic Lateral Sclerosis (ALS) approximately four years ago. He was doing well and living on his own up until 6 months ago when his condition declined. In recent months he found happiness in being able to attend his 40-year high school reunion, surrounded by supportive and loving friends. He also enjoyed the many visits from his family and friends to his residential care facility where he was fondly referred to as “smiley”. Jim is survived by his two sons; Colton and Tyler Gunther of Belford, along with his loving sister and brother-in-law, Linda and Daniel Flanigan, Rumson, NJ; sister and brother-in-law, Barbara and David Collins, Keansburg, N.J.; brother and sister-in-law, Rudy and Roslyn Gunther, Brick, NJ; brother and sister-in-law, Bill and Nancy, Polk, Fl. and 8 nieces and nephews; Jennifer Gunther, Amanda Kelly, Stephanie Cashmore, Brett Cashmore, Katie Flanigan, Tom Flanigan, Cassie Ruiz and David Collins. Friends and relatives may pay their respects on Friday from 12 - 3 pm at Scott & Kedz Home for Funerals, 153 Church St., Belford. A Funeral Service will conclude the afternoon and a private cremation will follow. In lieu of flowers, memorial contributions may be made to the Joan Dancy and PALS (People with ALS) Foundation at http://www.joandancyandpals.org.